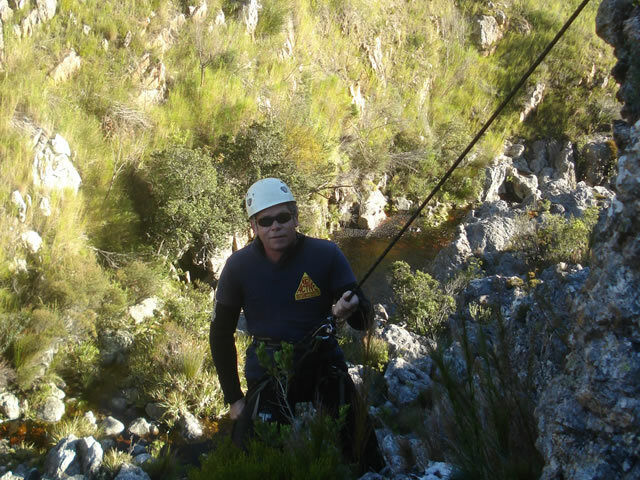 Exciting kloofing opportunities present themselves in the Overberg area. 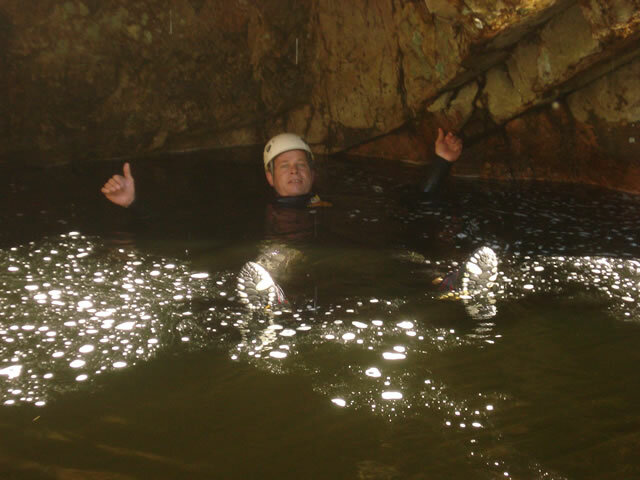 Join us in the thrill of the day as you leap into oblivion, following the course of these natural mountain streams. 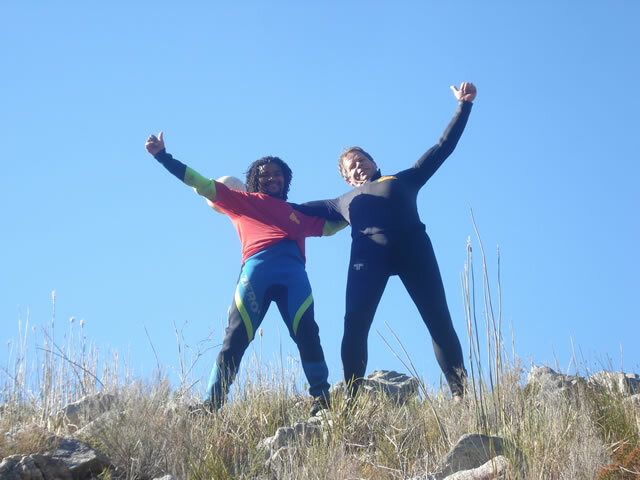 What is kloofing you ask? 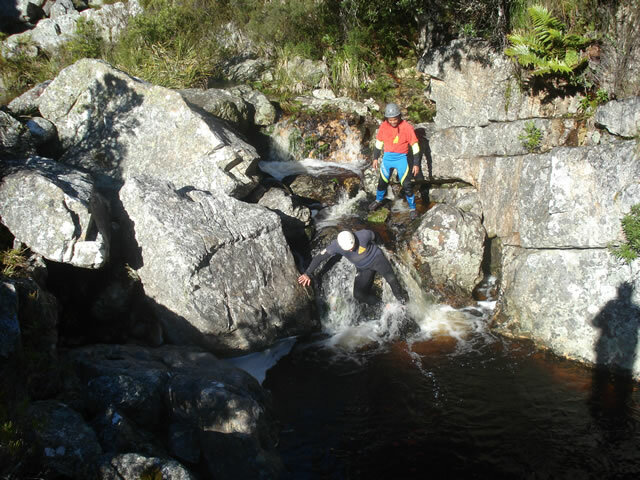 It is a walk that follows a steep river course where it necessitates jumping from rocks into pools of water below. 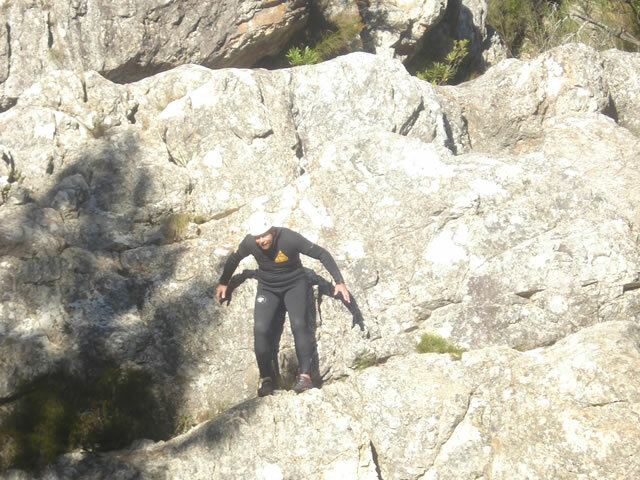 Some of these jumps are pretty intimidating and not for the faint hearted. 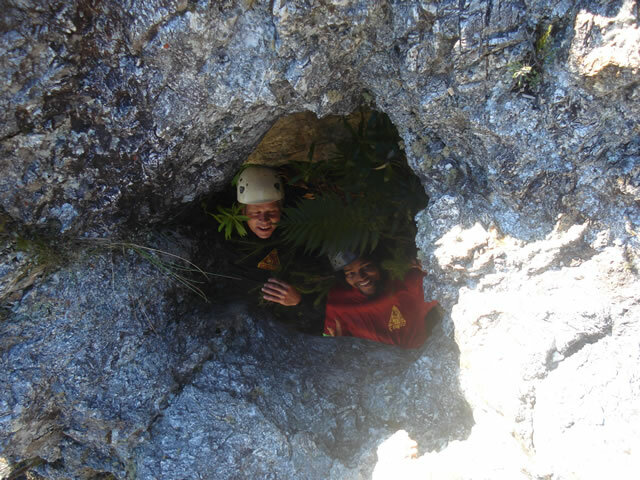 Half day and full day trails are available. 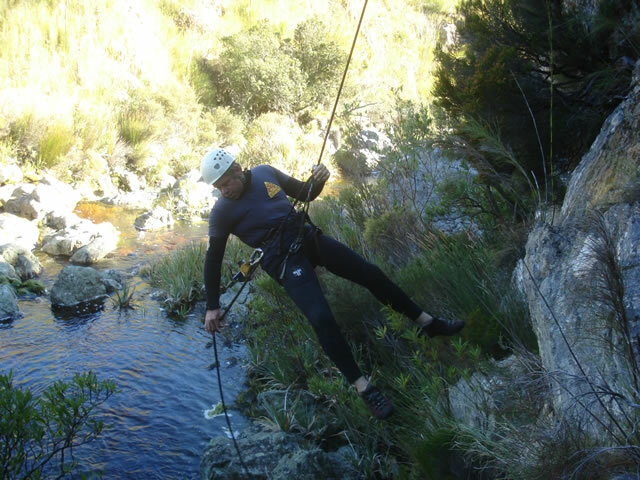 This trail includes three different activities – hiking, kloofing (jumps from 3 to 22 meters) and a 65m abseil through Thunder Falls. 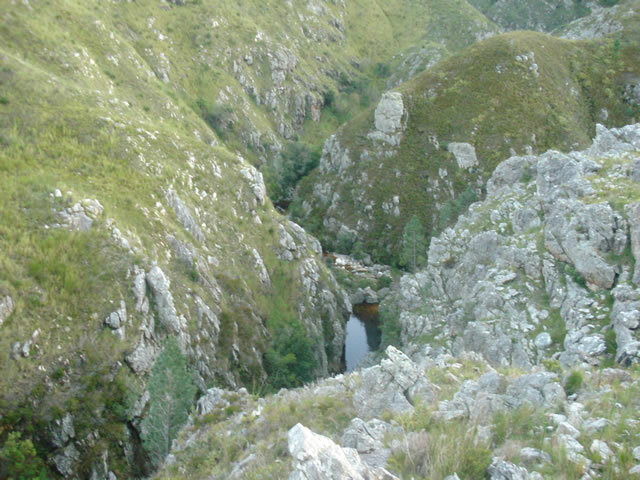 The venue is Steenbras River Gorge in Gordon’s Bay. Contact us for more details. 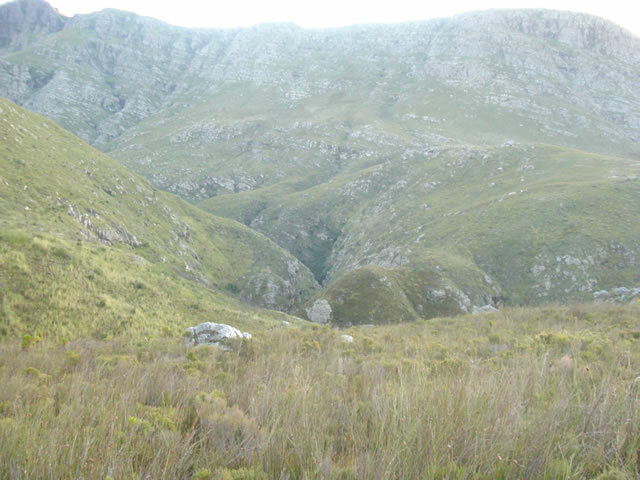 Permits can be obtained from the Cape Nature office at Nuweberg. We do not offer this activity commercially. 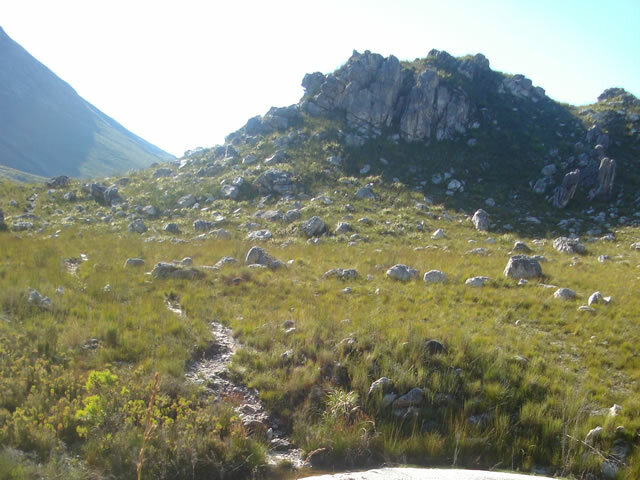 You can do it as a self guided trail but it is advisable to discuss detail on available guides with Cape Nature at time of booking. 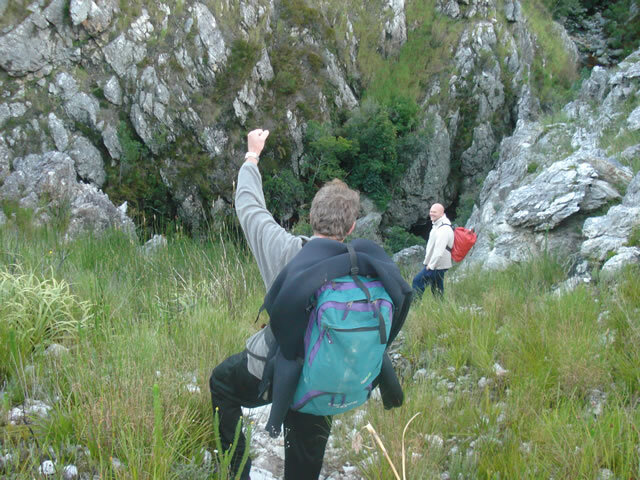 Set in the heart of the Hottentots Holland Mountain Range, Suicide Gorge is a real challenge. Jumps into the dark pools below make all but the bravest miss a heart beat on the journey down to the cool mountain waters. 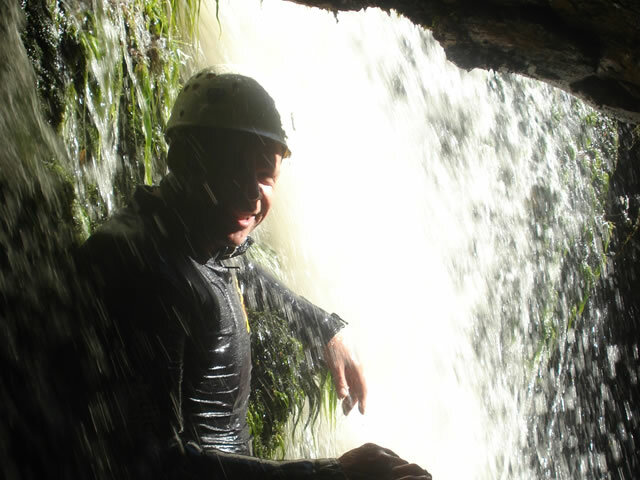 The lower section of the gorge is a very enjoyable half day experience. The gorge is only open during the summer months.